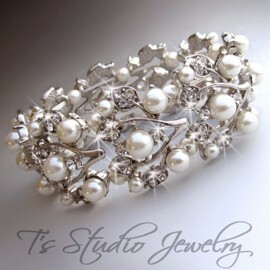 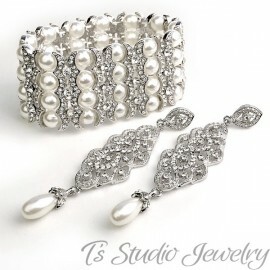 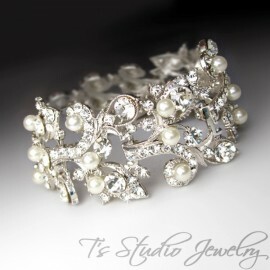 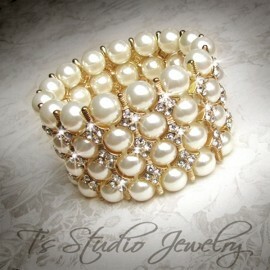 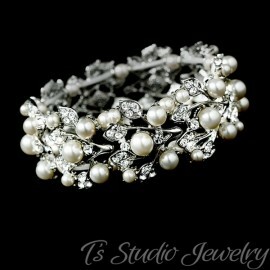 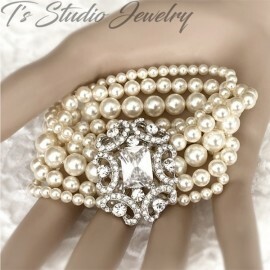 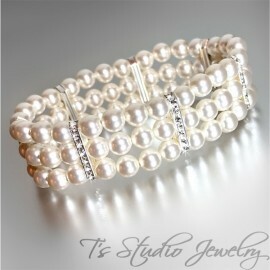 This bracelet is stunning ... perfect to wear with a wedding or bridesmaid dress, or just with a pair of jeans! 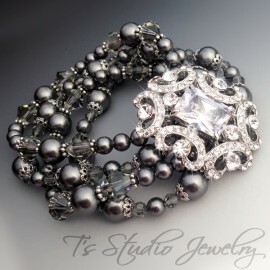 The focus of this bracelet is a darling silver flower clasp, with a single crystal in the middle. 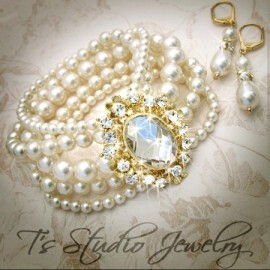 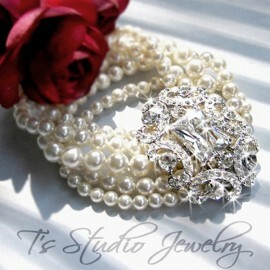 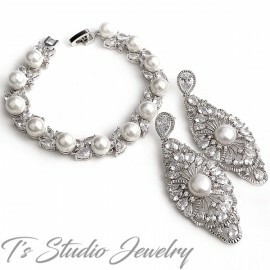 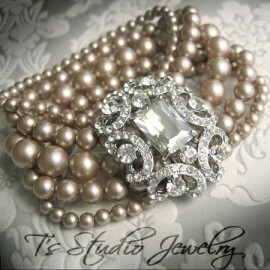 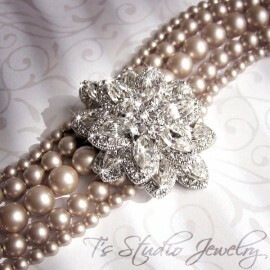 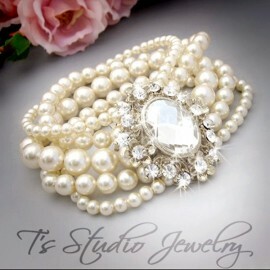 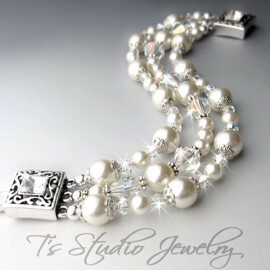 The 2 strands are made with Swarovski pearls, combined with silver chain. 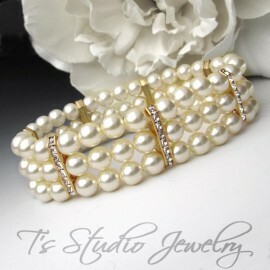 This bracelet is also available with a gold flower and chain. 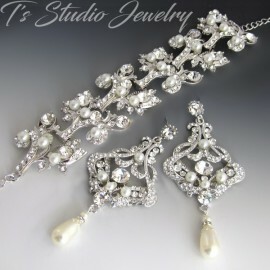 Matching necklace and earrings sold separately.